Spurs’ trick draw, Bale returns to Wembly Stadium – Kenyatta University TV (KUTV). All Rights Reserved. 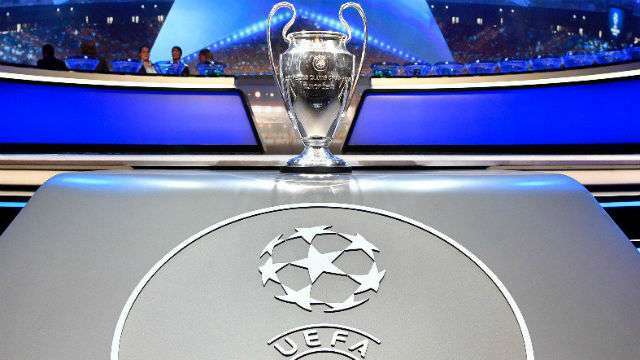 Champions League holders Real Madrid will face Borussia Dortmund and Tottenham in a difficult group following the draw ceremony in Monaco on Thursday. Barcelona did not get an easy pass, either, as they were drawn against Juventus, Olympiakos and Sporting CP in Group D.
Aside from Spurs, English teams received slightly easier draws, with Chelsea’s matchup with Atletico Madrid among the more challenging matchups, while Liverpool will face Sevilla. Manchester United will face Benfica, FC Basel and CSKA Moscow in Group A, while Manchester City get Shakhtar Donetsk, Napoli and Feyenoord in Group F.
Teams were drawn into eight groups of four. Clubs from the same national association — as well as Russian and Ukrainian clubs — could not be drawn together. The first group games will be played on Sept. 12-13. Group A: Benfica, Manchester United, FC Basel, CSKA Moscow. Dortmund finished top of their group above Madrid last year, but new coach Peter Bosz still said Real were the most difficult challenge his side could have been drawn against in Group H.
“Real Madrid are the first team that could defend the Champions League title,” he said after the draw. “I also saw their [recent Super Cup] matches against Barcelona, and I have to say: That is the absolute top level in football right now. Dortmund CEO Hans-Joachim Watzke told Sky Germany that the club would look to the experience of finishing at the top of an equally tough group in 2012, when BVB went unbeaten against Real Madrid, Ajax and Manchester City before reaching the final. “There’re a lot of teams that start today with that [favourites] tag,” he said. “We’re the champions from the last two seasons, we have a great team and a winning spirit. But this competition takes you to the limit in all aspects. “You expect to play the best in Europe in the Champions League, and it’s exciting for us. We look forward to these games,” Kane said. “You want to test yourself against the best, and Real Madrid are the best at the moment.